A new dawn for field sports on broadcast television? An argument could be made that the rural community has been left behind by the mainstream media, directed by a metropolitan class who have lost touch with the realities of life in the country. Viewing Countryfile on BBC One would not help to change this perception, once the preserve of farmers it often comes across as Wish You Were Here: British Countryside Special... Such comments are perhaps a little unhelpful, and may even overlook some of the more serious elements of the programme. None the less, tensions have continued to rise over recent months given the ever more stridently anti-shooting rhetoric of retained BBC presenters such as Chris Packham. How can such a situation be challenged? Offer the other side of the story. The story which provides thousands of people with employment and breathes life into huge swathes of the countryside. The story which is vital to the survival of ground nesting birds and the biodiversity of areas which are managed for field sports. By challenging the 'science' with rigorous academic research and the real life stories of environmental and economic enrichment. Not to mention a story which has great relationships and amazing landscapes. 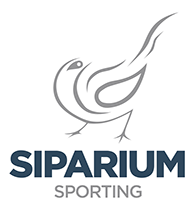 It will only be a step in the right direction, but Siparium Sporting's sister company, Siparium Entertainment wishes to demonstrate the vibrancy and benefits of field sports on broadcast television. It may be small scale at first, on a vibrant channel devoted to rural life, but it's the first step towards convincing the mainstream media that there is a response to their activists - a response which has an even bigger human interest element and a great feel-good factor! 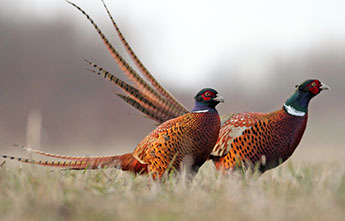 To achieve this we need the help and support of the shooting and wider rural communities. As such, please check out our draft proposals and complete the survey (below). The latter is vital to converting interest into a commission!